At Empire Roofing, we recognize that in order to uphold our highest standards of safety for our employees and customers, a program of continuous safety improvement must be maintained. For the past 11 years, we have closed the Empire Roofing offices for our annual week long “Safety Fest”. This year, our field operations will be closed from March 21 to 24. During this year’s Safety Fest, our in-house safety instructors and roofing trainers from Firestone Building Products will be holding safety and roofing seminars and training sessions for all of our field employees. “Our courses, classes and seminars change and grow with the roofing trade each year. Construction is a constantly evolving industry and we are striving to set a new standard for safety each year,” explains Safety Coordinator May Bchouti. Topics explored at Safety Fest will include fall arrest, propane handling, aerial lift, first aid, material handling, injury and illness prevention, working with hot asphalt, fire prevention, proper use of personal protective equipment, fundamentals of roofing and much more. Roof work usually brings with it a series of safety-related challenges. About one in three fatal falls are related to a fall from heights. Prior to the commencement of any roof work, there is a rigorous safety evaluation that typically involves consultation with the client for any known safety issues or concerns as well as checking for signs of damage or corrosion. Fall protection plans are routinely discussed and implemented. Employees usually employ safety gear such as fall restraints, guard rails and safety nets. Openings in the roof are barricaded, covered and labelled. There are set safety procedures for loading materials onto the roof and equipment is routinely checked for potential problems. With our employees and customers in mind, our safety program remains our highest priority. Empire Roofing prides itself in its professional work as well as it safety record. A company’s performance is tied to its safety record. The safety record is measured by how many injuries occur per 100 (full time) employees. 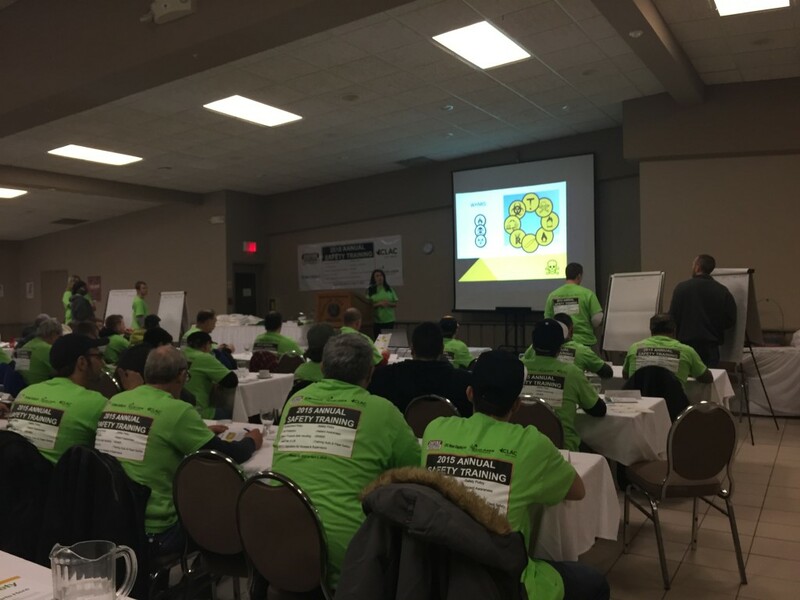 “Our impeccable safety record and culture of safety awareness is directly reflected in the number of loss time accidents and medical aids in the history of our company,” says Toronto Branch Service Manager Nada Tayar. Empire Roofing takes responsibility for the safety of its employees as well as for its valued clientele. Safety plans and protocols are regularly reviewed with both employees and customers. All safety measures and protocols are designed to meet or exceed OSHA requirements. All Empire Roofing employees must undergo a certification program in safety and are required to pass the exams in order to be certified. They must also take part in regular classroom training safety sessions conducted by safety specialists. Scheduled and non-scheduled inspections are conducted on site and managers conduct regular meetings with staff to discuss any safety issues that may arise at a job site. Accident trends, potential problems and post-inspection reports filed by safety inspectors are common topics of discussion during these safety meetings. Empire Roofing subcontractors are also required to familiarize themselves with our safety program. Contractors usually sign a form acknowledging that they have understood and will abide by the company’s safety policies. Company owners and managers should continually monitor their roofs for any potential signs of trouble. Empire Roofing staff are trained to conduct a proper roof analysis to determine what actions need to be taken to remedy any existing or potential problems that are found. Early assessment and detection is crucial to tackling issues before they happen. The result will be significant cost savings.